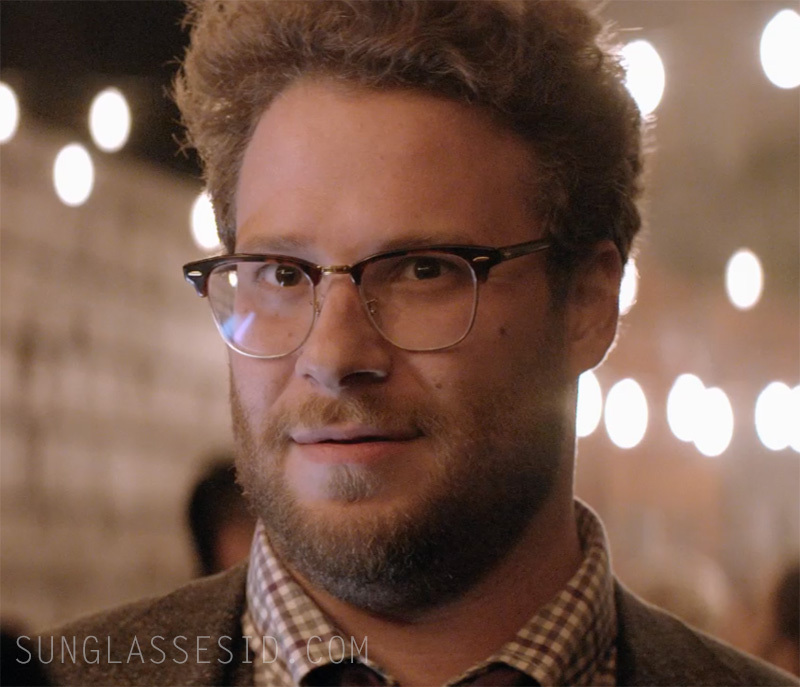 Seth Rogen wears Ray-Ban RB5154 Clubmaster Optics eyeglasses in the 2014 comedy movie The Interview. Seth Rogen wears the version with tortoise / gold frame (Red Havana, code 2372), available online at Amazon.com ($85 without lenses), Amazon.co.uk (£62.51 - £133.02), FramesDirect.com ($148 incl. lenses). The same model is also available with a black / silver frame (RB5154 2012 49-21), or tortoise / silver frame (code RB5154 2000 49-21).